Help them get that special piece of art they’ve always wanted. Order as many hours as required. Know someone who’s itching for a tattoo but won’t treat themselves to one? 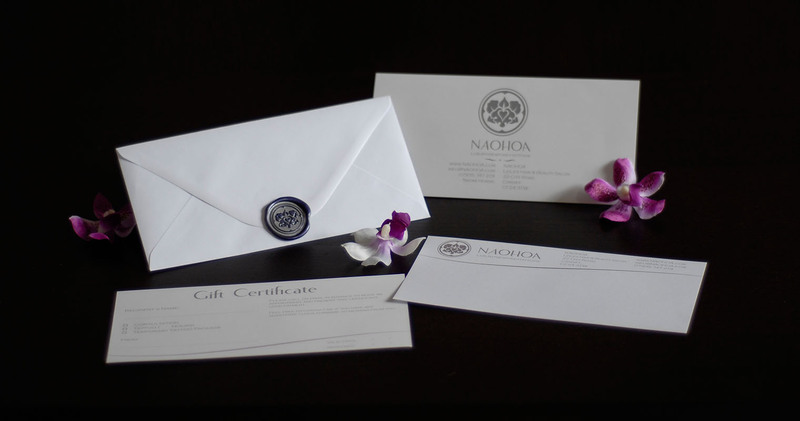 Be that person with our gorgeously presented gift cards, which are sealed using NAOHOA’s signature wax stamp and hand-written note on watermarked paper (optional. Maximum of 20 words). The envelope will be left bare on the front so you can write their name/address. If you’re ordering from outside of Wales or simply cannot pick up in-store, you can have it delivered for an additional £2.50 (2nd Class Royal Mail). 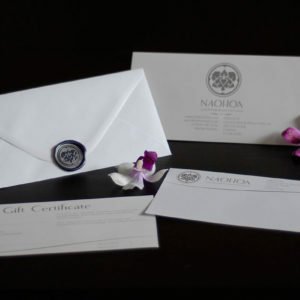 Important: If you want to order more than one voucher for different people, please contact me with your order reference so I can write and package them separately. Feel free to contact me for advice on how long their desired tattoo might take before ordering. All clients are encouraged to attend a one-to-one Consultation at the studio (or via Skype if living outside of Wales) to discuss their tattoo ideas.